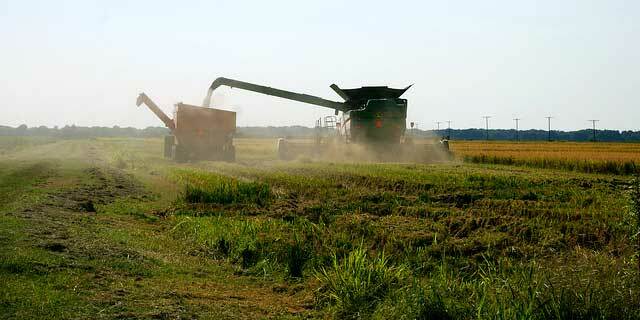 Farmers are pushing to harvest viable rice in southwest Louisiana. Combines are running in standing water if necessary. This month’s rain and flooding are taking an economic toll, aside from the stress imposed on farmers and the ag community. Louisiana State University’s most recent estimate of losses in rice is north of $30 million. See comments by Dustin Harrell. Harvest has either started or is progressing now in parts of Arkansas, Mississippi and Missouri, as well as in north Louisiana. The rain is not letting up, and more is in the forecast on a wide basis into the weekend. Talk of a possible tropical system in the Gulf of Mexico has only heightened concerns. Rice stink bugs remain a nagging threat in late rice in Arkansas. The unpredictable weather and threat of wash-off continues to complicate treatment timing. Consultants share how they can enjoy the three extra weeks of residual control RebelEX® herbicide provides on barnyardgrass, smartweed and rice flatsedge. For more benefits of RebelEX herbicide, visit 504MoreHours.com. Hugh Whitby, KC Consulting, Wynne, Arkansas: “Very little of my growers’ rice has been cut. Probably 90% has been drained. Last week some rice sprouted in the head during all the rain and wet conditions. I’ve seen that in the past on downed rice, but this is the first time I’ve ever found it on standing rice. “One guy told me that he was finding it in a field he was cutting. He didn’t see sprouting across the whole field but it was noticeable in places. It didn’t seem to affect yields or harvest, he said. We’ll have to see whether it has any effect on milling. Where rice has sprouted, it was dry enough that we could have cut it 10 days ago (from 8/25) if the weather had permitted. Wendell Minson, Bootheel Crop Consultants, Dexter, Missouri: "None of my clients have started harvesting rice yet, but a few guys around us are in the field. Yesterday (8/24) we started our sodium chlorate applications, although we may not be overly aggressive getting those treatments out. The forecast calls for more rain – a 40% chance tomorrow, a 50% chance on Saturday and then lesser percentages after that. “We’d like to see the ground dry up a little more before we put a combine in the field. The rain started nearly 2 weeks ago on that Friday (8/12), and totals since then have ranged from 8 inches up to 18. All the rain – plus some flooding – hurt beans more than rice. Some beans went under water, and the flooding killed them on the low ends of fields. DowAgroSciences offers rice herbicides that fit into your weed management program. Learn more at DowRiceHerbicides.com. Bobby Golden, Mississippi Extension Rice and Soil Fertility Agronomist: “The weather continues to keep most harvest on hold. I’d be surprised if more than 10,000 acres of rice has been cut in Mississippi so far (8/25). And where anyone might be rolling, it’s at a slow pace. What yield reports I’ve heard have been fairly decent, although I don’t have enough numbers to talk about trends. We’ve got concerns about what the heat did to part of the crop. Gus Lorenz, Arkansas Extension IPM Specialist: “Rice stink bugs (RSB) are still hitting fields, and their numbers are high. In places, we’re counting 3 per sweep, which is 3X our threshold of 10 per 10 sweeps. They keep moving into fields. Growers can treat today, check in 4 to 5 days and often find as many RSB as they had before the application. Dustin Harrell, Louisiana Rice Extension Specialist, LSU Rice Research Station, Crowley: “Some combines were moving this week, and we’re seeing them running in water in places. Mostly, it’s a foot of water or less, but I know of some locations where combines were in 15 inches of water and pushing a wake out as they moved through the field. I saw one photo on Facebook of a combine running in a field with the water line just below the panicle. “We’re still trying to determine where we are with all the flooding and how much damage it caused in rice. Initially, it was estimated that rice farmers in this part of the state took a $14 million hit. That covered rice that couldn’t be harvested, not including loss of the ratoon crop or rice that would have quality issues due to sprouting or other factors. “The updated number is now around $33 million. In that estimate, 20% to 25% of the rice in those parishes is unharvestable, and 40% to 45% of rice remaining in the fields will have quality issues. The impact ranges from some growers with no real problems to others who sustained major losses on substantial acreage. “Soybeans were hit harder because none of them had been harvested yet. The LSU AgCenter puts that loss at $44 million, with $101 million across all crops in this part of the state. “Questions vary, but many people want to know when rice would be considered a total loss. Also, they want to know when they can sell the rice they do bring out of the field. A lot of this will be determined by millers and insurance adjusters. If rice has just started sprouting but hasn’t lodged then it probably still has some value. But it’s hard to make a blanket statement. Every buyer will be evaluating this crop on a load-by-load basis. “If rice is on the ground and has a 2-leaf seedling coming out of the head, it’s done, and we actually have quite a bit of that. “We won’t make a ratoon crop anywhere that the first crop was lost. If rice stays under water long enough, the plant dies, so it’s not coming back. We still do have a lot of ratoon acres that will make it. The rain did prevent growers from properly managing stubble, plus they had to fly nitrogen into standing water, so yields won’t be what we’d like to see. But at least we will have a ratoon crop. “Harvest is approaching or maybe has started in spots in north Louisiana. No yield reports yet. Wayne Dulaney, Dulaney Seed Co., Clarksdale, Mississippi: "On our own farm we need to be cutting rice. But after all the rain last week, we’re trying to get corn out of the way, then move into rice. “One of our growers at Jonestown has started cutting, and he said it’s been going well. He’s been harvesting in CL151, and he said some went down, but he thinks it will yield better than last year’s 180 bu/acre average, maybe going 190. 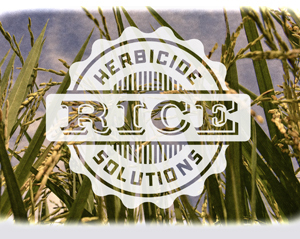 Dow AgroSciences offers rice herbicides that fit into your weed management program. Learn more at DowRiceHerbicides.com.